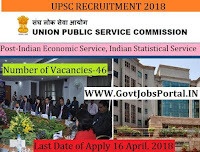 Union Public Service Commission jobs has published Employment News for Indian Economic Service, Indian Statistical Service Posts. Interested and eligible candidates can have online application scheduled from 16-April-2018 Online can be registered online on the official site, all candidates are requested to submit all necessary employment related information before applying for this government job. Total numbers of vacancies are 46 Post. Only those candidates are eligible who have passed Post-Graduate Degree in Economics/Applied Economics/Business Economics / Economtrics from a University. 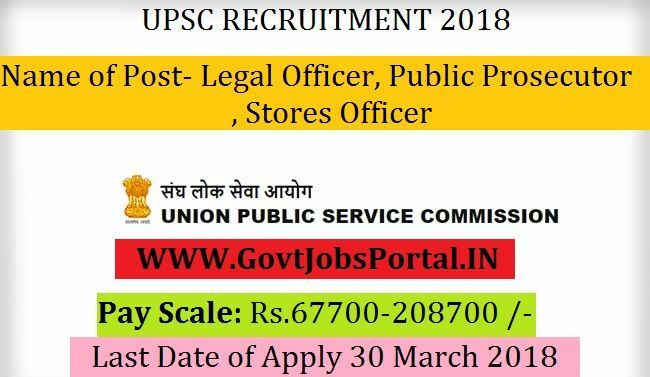 Indian citizen having age in between 21 to 30 years can apply for this Union Public Service Commission jobs Recruitment 2018. Those who are interested in these Union Public Service Commission and meet with the whole eligibility criteria related to these Union Public Service Commission jobs below in the same post. Read the whole article carefully before applying. Educational Qualification: Only those candidates are eligible who have passed Post-Graduate Degree in Economics/Applied Economics/Business Economics / Economtrics from a University. Age Criteria: The Contestants applying for the post should be existing between 21 & 30 Years. 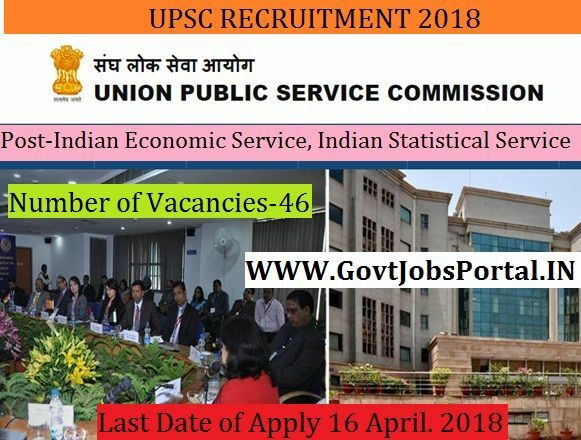 What is the Selection Process for these UPSC job? Union Public Service Commission is going to recruit fresher candidates in India for Legal Officer, Public Prosecutor, Stores Officer Posts. So, those candidates who are willing to work with this organization they May apply for this post. Last Date of Apply 30-March-2018. Total numbers of vacancies are 16 Posts. Only those candidates are eligible who have passed Degree in Law of a recognized University & Degree in Engineering from a recognised University or Institute. 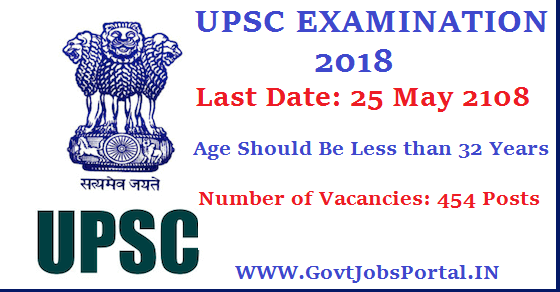 Indian citizen having age in between 18 to 40 years can apply for this Union Public Service Commission Recruitment 2018. Educational Criteria: Only those candidates are eligible who have passed Degree in Law of a recognized University & Degree in Engineering from a recognised University or Institute. 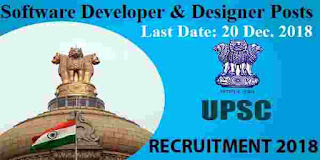 Union Public Service Commission is going to recruit fresher candidates in India for Assistant Director Safety, Translator Posts. So, those candidates who are willing to work with this organization they May apply for this post. 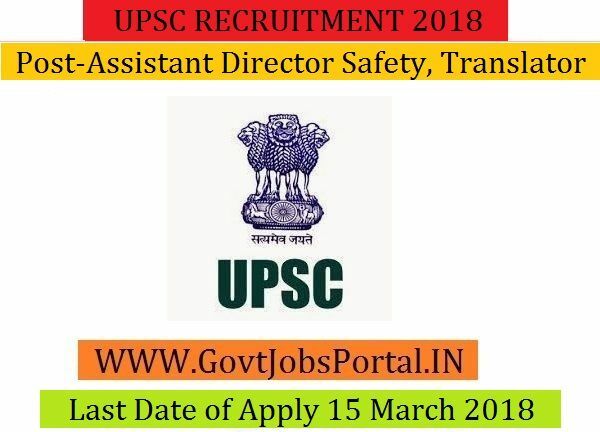 Last Date of Apply 15-March-2018. Total numbers of vacancies are 06 Posts. 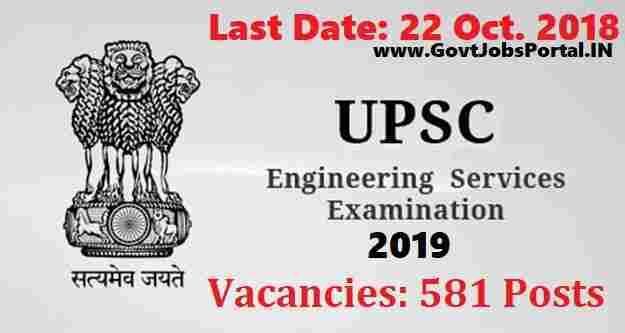 Only those candidates are eligible who have passed Bachelor’s degree in the Foreign Language concerned (TIBETAN) with English as a compulsory or elective subject at degree level & Degree in Electrical Engineering or equivalent. 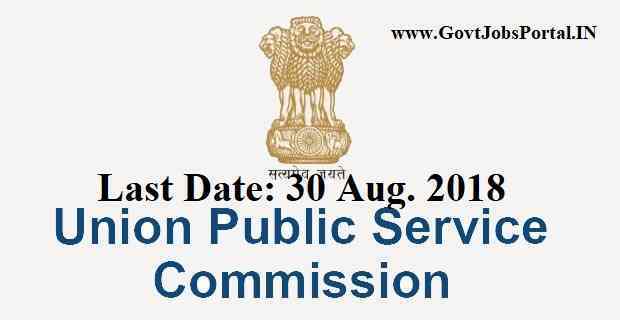 Indian citizen having age in between 20 to 40 years can apply for this Union Public Service Commission Recruitment 2018. Educational Criteria: Only those candidates are eligible who have passed Bachelor’s degree in the Foreign Language concerned (TIBETAN) with English as a compulsory or elective subject at degree level & Degree in Electrical Engineering or equivalent.